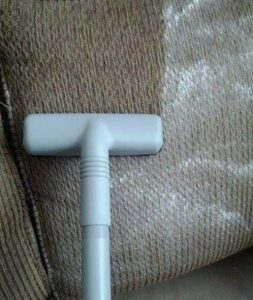 1- You can deodorize your sofa or couch by sprinkling baking soda all over them and them vacuuming. 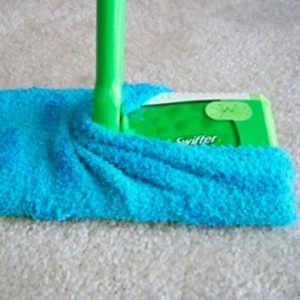 2- Rather than buying expensive refills, you can use a fuzzy sock over your floor cleaner. 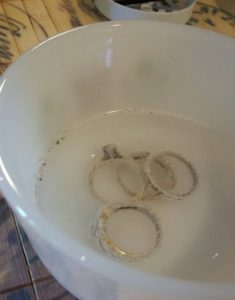 3- Soak your rings in hydrogen peroxide and leave them for an hour to restore shine. 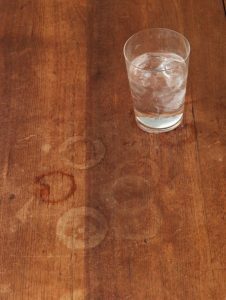 4- Get rid of stubborn water stains by scrubbing them with kosher salt and half a grapefruit. 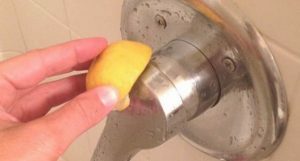 5- You can also use lemon to remove stubborn water stains from your shower. 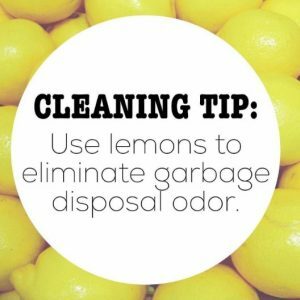 6- You can also throw those used lemons in your garbage disposal to get rid of unfortunate smells. 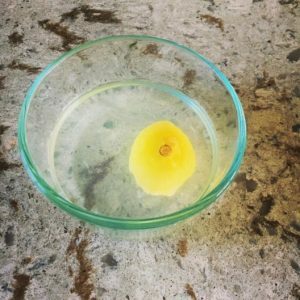 7- You can try tossing your lemon remains in a bowl of lemon juice and vinegar in the microwave for five mins to loosen up the crusties inside, to make your microwave easier to clean. 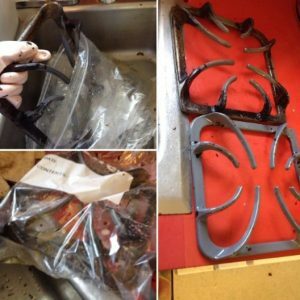 8- Use plain ammonia and big ziplock bags to remove crust and burns from your stovetop ring set. 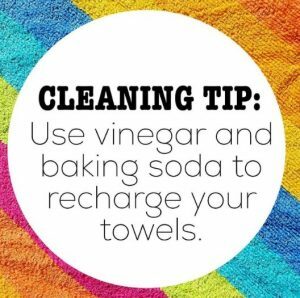 9- You can bring your towels back to life by using vinegar and baking soda. 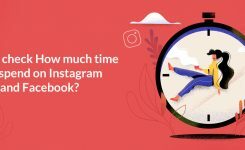 Just throw them in a cup of vinegar with hot water and then run the sheet for the second time in a cup of baking soda with warm water. 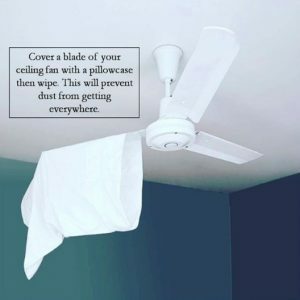 10- You can prevent dust from getting all over your place by covering a blade of your ceiling fan with a pillowcase. 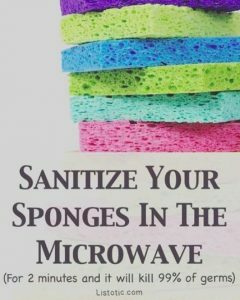 11- Kill bacteria and freshen up your sponges by popping them in your microwave. 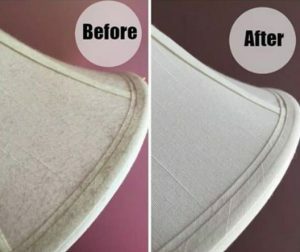 12- A lint roller is an excellent way to remove dust off of your lamp shades. 13- Use a dryer sheet on your baseboards to keep hair and dust from congregating. 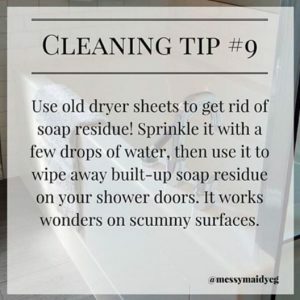 14- You can also use dryer sheets to clean soap residue. 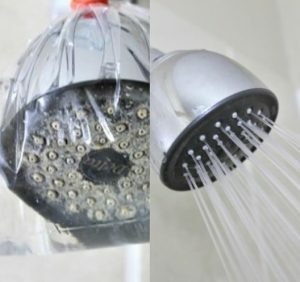 15- Tie a ziplock bag filled with lemon juice or vinegar on your shower head overnight to remove buildup. 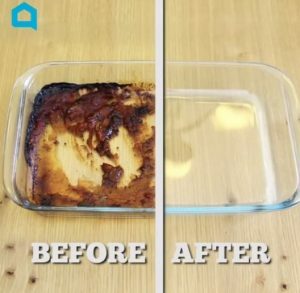 16- You can easily remove tough cooking greases by scrubbing with soap and aluminum foil. 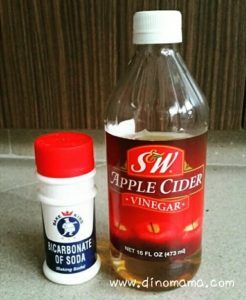 17- Clear your clogged sink by spraying vinegar and baking soda down the drain. 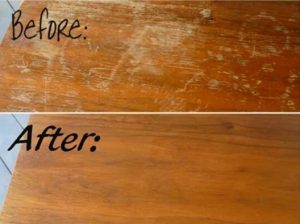 18- You can use ¾ cup of olive oil and ¼ cup of vinegar to remove scratches from your wooden furniture. 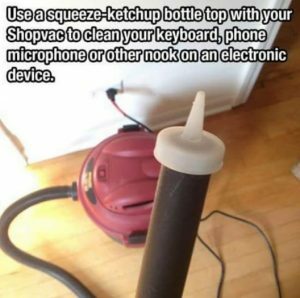 19- You can use a squeeze ketchup bottle top with your shop vac to clean those hard-to-reach places. 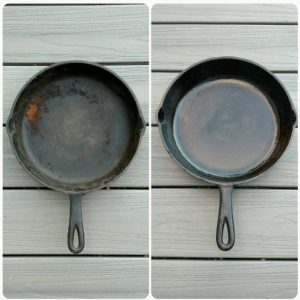 20- Clean your cast iron with salt and a potato half. 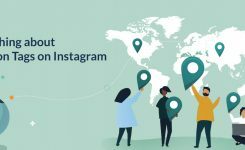 We hope you find this blog helpful. 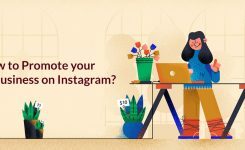 Please leave us a comment if you have anything to add to this list.